18 Holes of Splendor, Book Online Today! Host Your Corporate or Charity Event Here! Give the Gift of Golf! Enjoy a Pleasant Atmosphere with Great Service! We Reward Customer Loyalty. Sign Up Today! Golfers are sure to enjoy the variety of holes waiting for them at Mountain Brook Golf Club. The course offers challenging shots off the tee as well as undulating greens and beautiful views. The golf course design puts a premium on club selection and offers a challenge for all skill levels. Golfers can choose from multiple teeing areas allowing the course to be played as short as 5100 yards or as long as 6700 yards. You will also be pleased to know that we offer a twelve acre, world class, custom practice facility. Dramatic views of the desert hills and massive Superstition Mountains frame the course and clubhouse. 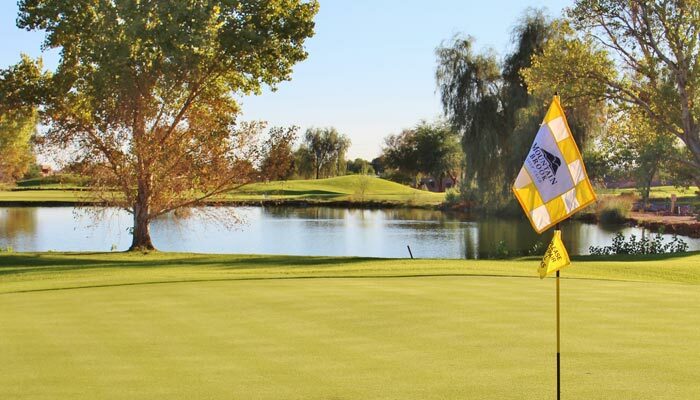 A modern desert mountain golf course design, Mountain Brook also features a full-service clubhouse and restaurant. We encourage public play, corporate golf outings, and host numerous tournament events for both members and public players to enjoy year round! Golf Advisor Recognized Mountain Brook Golf Club as one of the Most Improved Golf Courses in the Nation! What's Going on at Mountain Brook? The facilities at Mountain Brook Golf Club are sure to impress. We have extremely affordable membership plans you'll love & enjoy year-round. 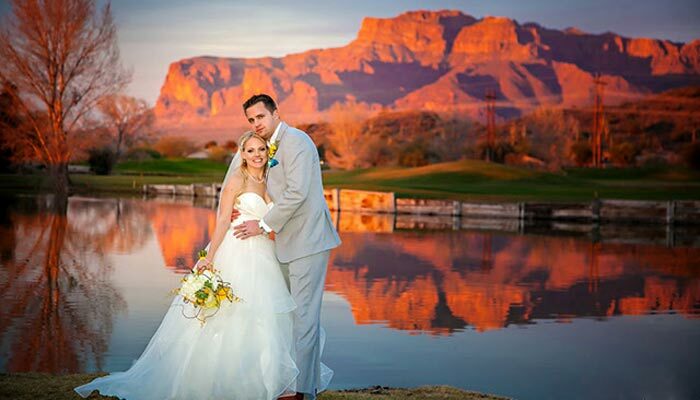 The Views at Superstition made the "Top Ten Places to Get Married in Arizona", and you'll find our ceremony sites are the perfect backdrop. Golf outings are what we do best. Enjoy excellent service & conditions, as our staff guides the process every step of the way. Ready to Book a Tee Time? Click below for rate & mid-season golf special information available now!